Jason started the company in 2000. The company is a local business in Abita Springs, Louisiana and is owner operated. 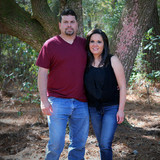 Jason is on-site from start to finish and is licensed and insured. No matter the condition or location of the tree, no job is to big or small. Jason also offers a number of other landscaping services from stump grinding to hedge trimming. Call today for your free quote! All Your Heavy Equipment & Heavy Duty Truck Needs Tree Service Stump Removal Land Clearing Site Preparation Excavation Services House Pad Grading & Leveling Driveway & Culvert Installation Pond Installation Debris Removal Aggregates Material: Sandy / Red Clay - Gravel - Limestone - Topsoil - Garden Soil - Washout - Crushed Concrete - Etc. We are a fully insured, experienced, tree service that can safely remove trees and limbs from your property. We are not a 1-800 number but we are a local business from right here in Pearl River County. GreenForest Nursery, Inc. is located in Perkinston, MS at the intersection of Old Highway 26 and Wire Road West. It was established in June of 1983 and has been a successful, flourishing business ever since. GreenForest Nursery, Inc. was founded by Dan Batson and is located on Batson family land that has been in the family for generations. The first trees Batson sold were taken from the surrounding woods, mostly yaupon and wax myrtle trees, and sold to clients the following summer in Birmingham, Alabama and Atlanta, Georgia to begin establishing cash flow and increase production numbers. By 1989, we had established inventory and had made a name for ourselves in the world of nurseries. By the early 1990s, GreenForest Nursery, Inc. began to expand in variety and size. Propagation techniques were brought into affect as well as the discovery of the Kathy Ann Yaupon holly tree. In 2005, Hurricane Katrina challenged us like never before. However, because of a loyal staff, local community members and thoughtful customers, the business survived and had its best year to date. Since Katrina, GreenForest Nursery, Inc. has continued to grow into a 140-acre operation with the varieties of landscape material our customers need to make their business successful. 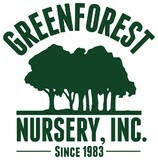 In early 2013, GreenForest will open a small container division of the nursery that will enable our customers to fill their landscape needs in one stop. 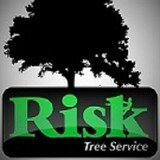 Risk Tree Service, LLC, specializes in all tree trimming and removal services around the New Orleans Metro area. We are providing both residential and commercial services. 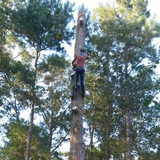 Our friendly and skilled professionals can assist you with all your tree service needs. Give us a call for a "free" quote. Helping landowners maintain the health and beauty of the trees on their property is the number one goal of JFO Tree Service. Trees are such a large part of our environment here in New Orleans and we here at JFO are dedicated to providing the very best of professional services to our residential and commercial clients. Your Pearlington, MS tree service professional or arborist might work in conjunction with another landscape professional to create a seamless landscape design. Here are some related professionals and vendors to complement the work of tree services: Landscape Contractors, Landscape Architects & Landscape Designers, Garden & Landscape Supplies. Find tree service professionals on Houzz. 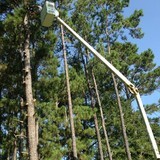 Look in the Professionals section under Pearlington, MS tree services. You can look through portfolios and read reviews to see what past tree care clients have to say.